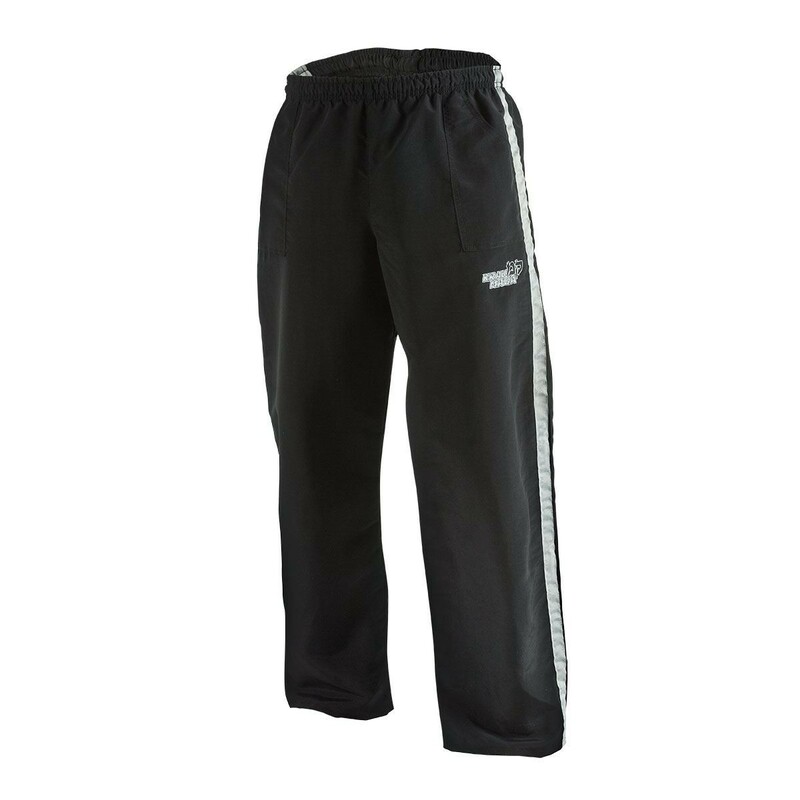 These full length pants offer a relaxed fit and are designed specifically to be restricting during intense, aggressive self defense training. An elastic waist with internal drawstring aid in ensuring a sure fit. Includes two hip pockets and constructed of 100% nylon. Made in the USA.